NOW OPEN IN DOWNTOWN JC (7 DAYS) BY GROVE ST PATH! Tidal Poke Co. opened in September 2016, located on the Jersey City Waterfront in the Harborside Financial Center. Our mission is to bring Big Island flavors to the Mainland by using the freshest and highest-quality sustainably sourced seafood and produce possible. Poke originates in Hawaii. The word "poke" means to slice or to cut, generally referring to different kinds of fish. 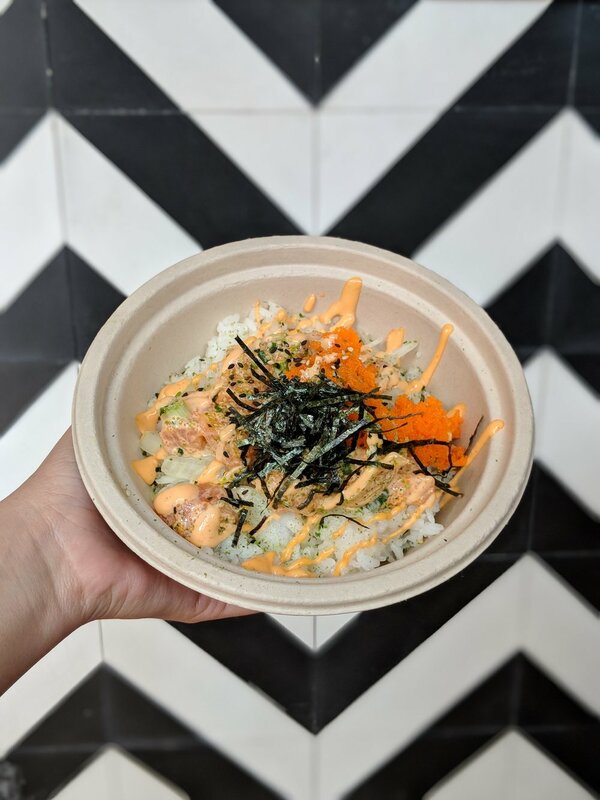 Our poke is made using sashimi grade seafood and is fully customizable, putting a modern twist on a traditional dish. Most of our menu is gluten-free and we have a variety of options to meet any dietary needs. We can't wait to share with you! Mahalo! We are excited to announce the opening of our Downtown JC location! Come check it out at 337 Grove St.
Poke is meant for everyone enjoy. Let us bring the aloha to you, either in your home or office. We are also available to cater for your special events. Whether it be a birthday party or even a wedding, we can customize our offerings to create a special menu just for you. We can also bring our signature items or a DIY poke bar to your event. All deliveries will have a $30 flat rate charge up to 10 miles. Please let us know if you would like anything that is not on our menu or if there are any dietary restrictions or allergies for your party. We would love to hear from you. Send us your questions, comments, concerns or suggestions! Or simply say Aloha! Copyright 2016 Tidal Poke Co.